A friend of mine showed me some photos of one of her husband's duck hunting trips. I loved the play of the water as their beautiful Black Labrador Retriever, Bullett, came splashing to shore with the prize. Since I draw my pastel pet portraits out by hand in charcoal, I found the challenge of this composiition caught my interest immediately. I showed this 16" x 20" portrait to my friend and she immediately fell in love with it and added it to her collection. 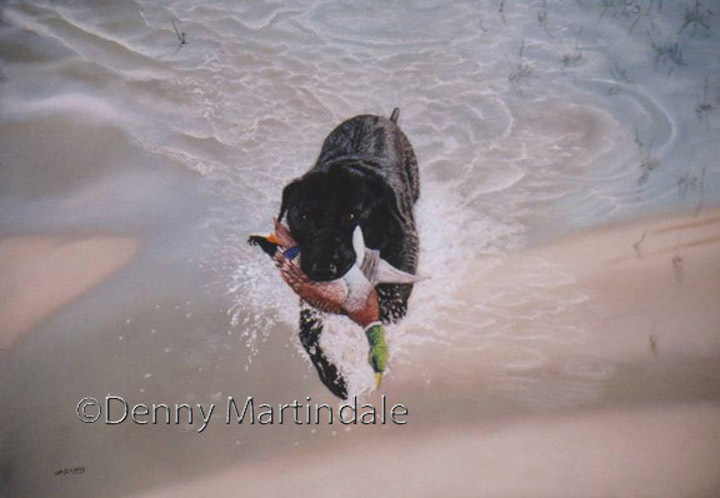 Giclee prints of The Retrieve are available.